Experiences and adventures are the best gifts! Because we believe that experiences forge who we are, we also think that they can be great gifts. For Christmas, for a birthday or for a special occasion, it is now easy to offer a Dunes & Desert activity to a loved one with gift cards. Three values ​​available : € 20, € 50 or € 100. The lucky winner will receive a « Voucher » code by email with a small message written by you. He can then consume whenever he wants to book the adventure that pleases him the most. 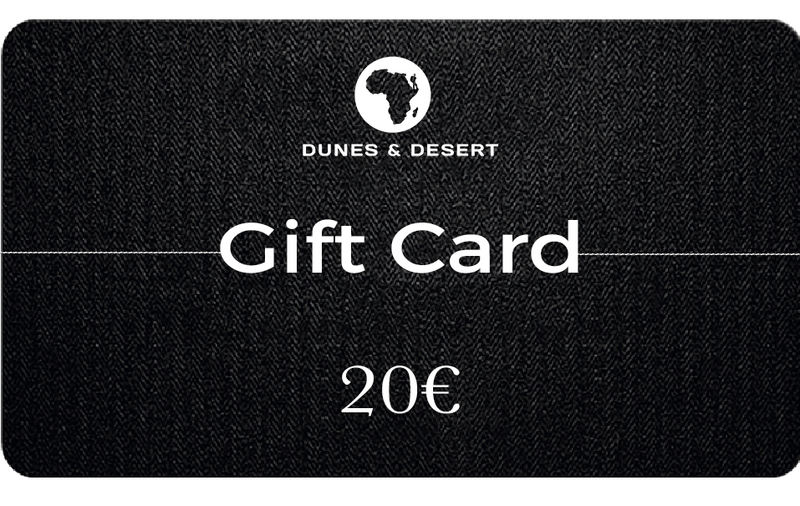 It just needs to be available online on the Dunes & Desert website! Then, when booking, he will just have enter the voucher code to enjoy the value of the gift card. If the chosen adventure is more expensive than the gift card value, it will only be necessary to settle the difference. If the chosen adventure is less expensive, the gift code will remain valid and can be applied on a second adventure. If you do not know what adventure to offer or if you do not know the exact date, this option is the best solution! *Gift cards are valid for up to 6 months after purchase.